At The Florida Project today, we were fortunate to get a hands-on with the newly unveiled Park Starz (Project Z) figures that were on display. Park Starz will be a set of 11+ Mystery Chaser blind tin set. They will retail for $18.95 per tin and be sold in cases of 12 (with a guaranteed set in there). Look for these to hit Disney Park stores this October. They are under the Vinylmation brand, but feature individual molds, stylized for each individual character they represent. First up, Big Al from Country Bears Jamboree. Park Starz is like nothing we have seen in Vinylmation. 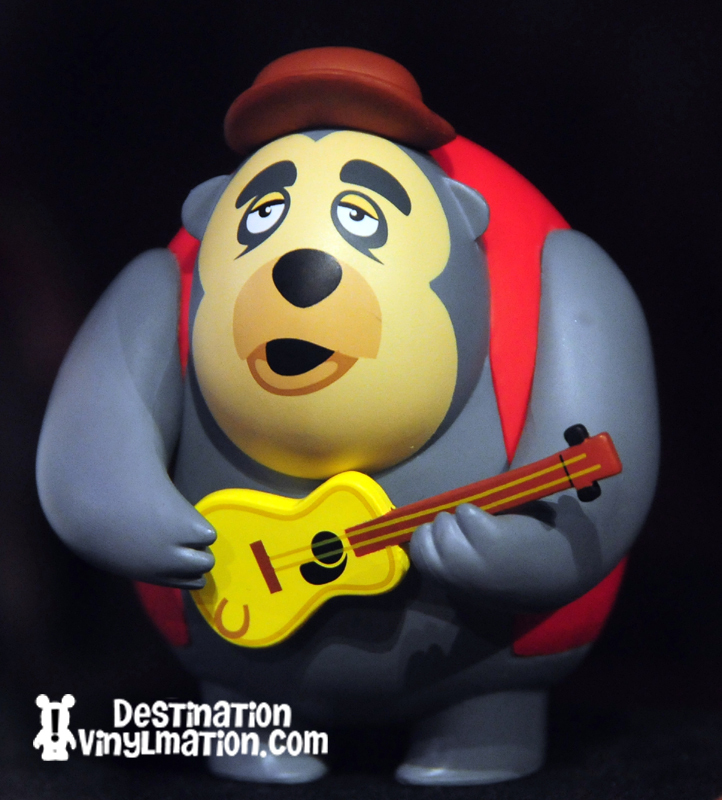 They are stylized characters from the Disney Parks around the world… and Big Al certainly has a lot of character on this vinyl. The big sad face. The huge arms holding the detailed guitar. And of course the tiny hat on top. From the side you see the size of this figure. For the most part, the Park Starz are about the height of a Vinylmation, three inches. 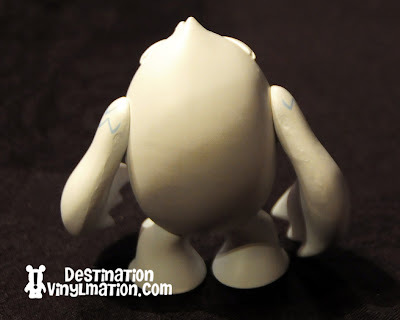 They feel rather light for the bulkiness of say Al and Yeti, but they do not feel cheap in any way. These are stylized interpretations, and the Giant Squid has a worried look like he may have just missed a sub full of guests. The tentacles have a flexible feel to them. 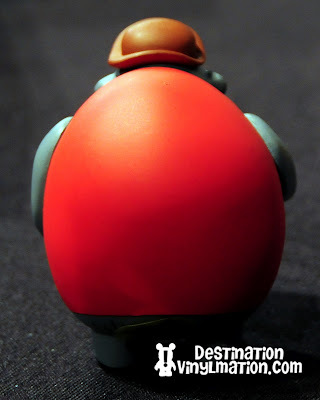 The figure itself feels as sold as a Mickey mold Vinylmation. 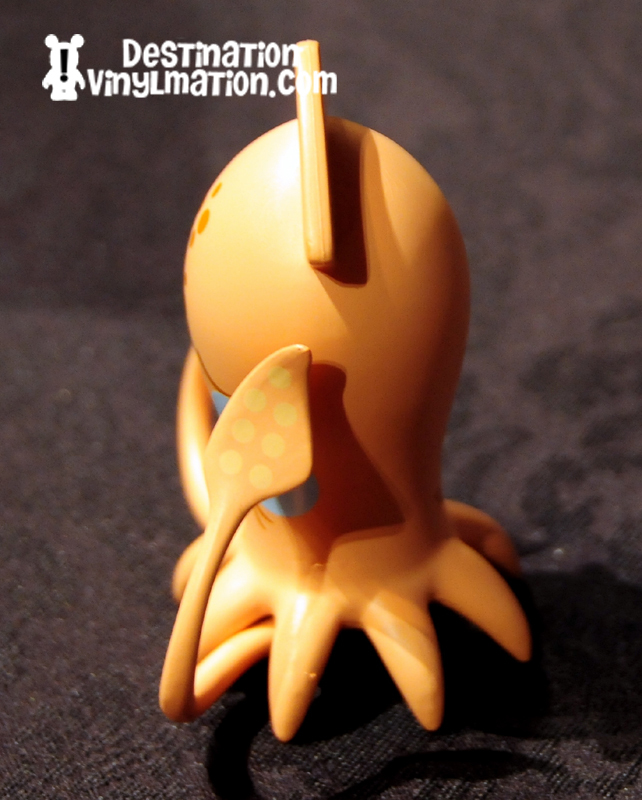 These figures in particular don’t have a ton of small detail, but some cool little touches like the markings on the tentacle ends. The back has a blow hole and the markings of VM for Vinylmation. I didn’t see this logo on the other figures. The great thing, is these Park Starz will be packaged in blind box tins. M.C. had a great point… most likely tins so guests can not judge the shape or size of the figure within. See what I mean about detail? 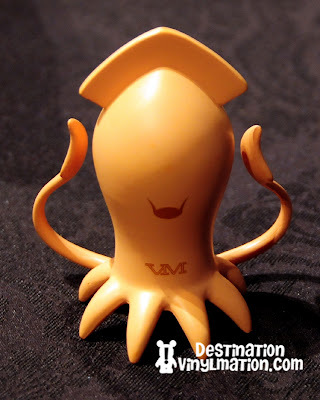 They didn’t need to add the markings to the bottom of the tentacles here, but they did. Up next, Figment. People guessed bowling pin, but instead we get Figment. He is a hit to guests everywhere, and the crown enjoyed his appearance here. The wings and horns look great on this figure. The cool thing is, after talking to Thomas Scott and Casey Jones, is this series of Vinylmation was planned from the beginning. Thomas said he never intended for Vinylmation to be just a Mickey mold. Casey said they had a lot of fun coming up with designs and it shows here. 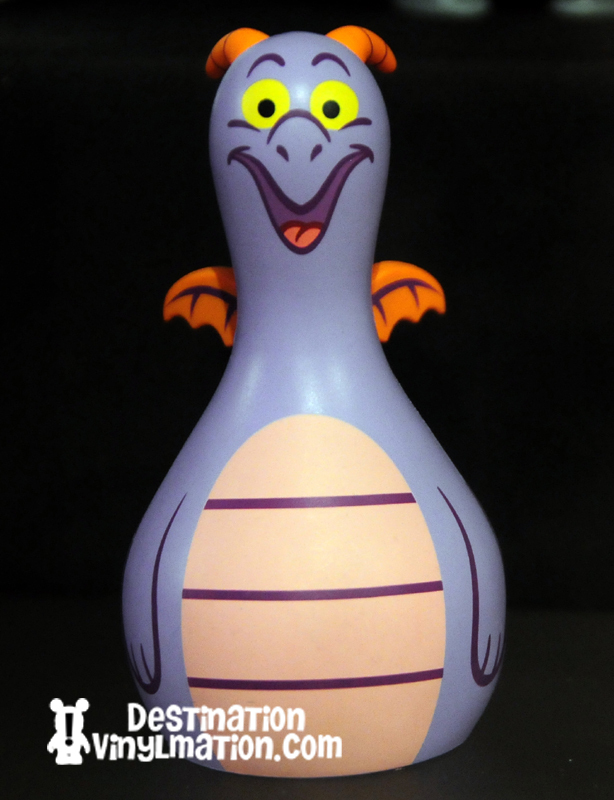 No word on variants in Park Starz, but Figment is ripe with possibilities for one. 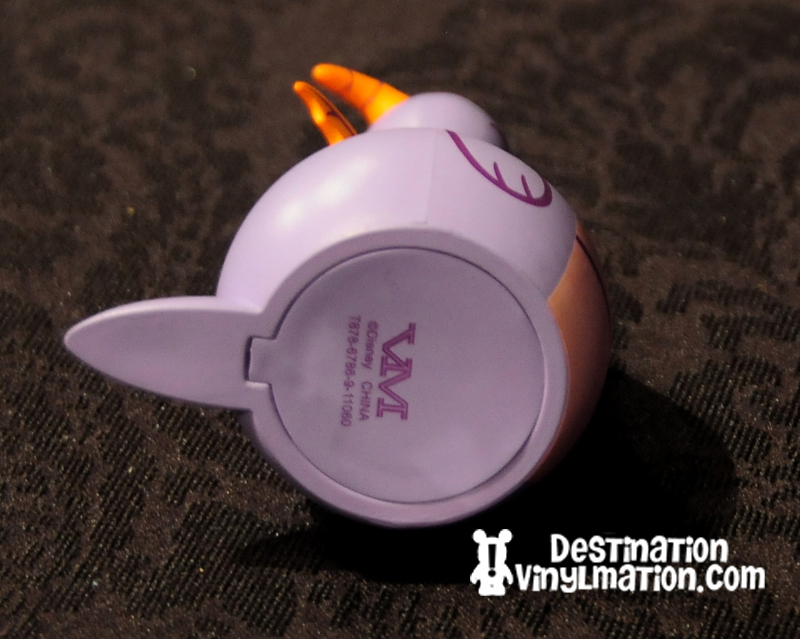 A look at the bottom shows the VM logo and “made in China” stamp. No artist as it’s really a collaboration between Casey Jones (character sketches), Thomas Scott (ideas and design) and Lin Shih (sculpting). There will not, at least right now, be figures attributed to individual artists. 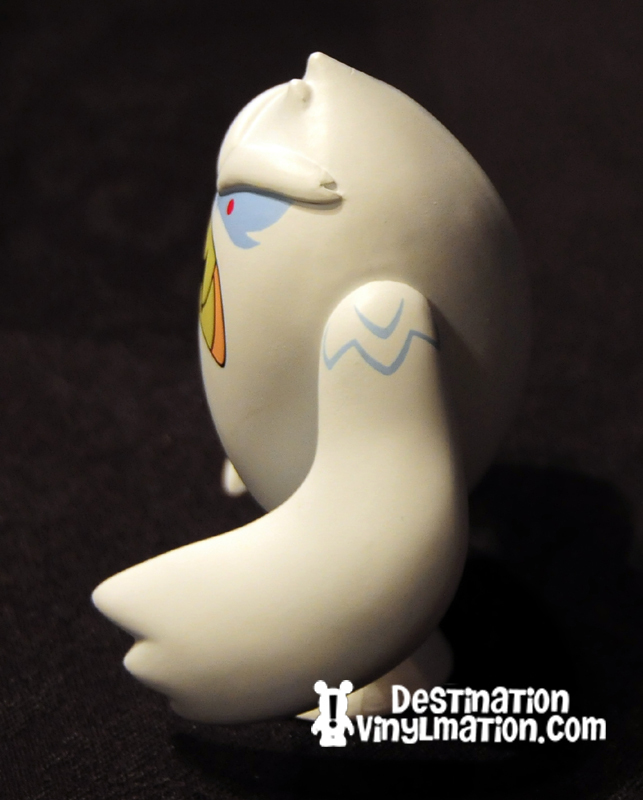 Finally, the Yeti. Disney revealed a little too much 2 days before The Florida Project when they posted a picture of the Yeti, albeit in shadow. 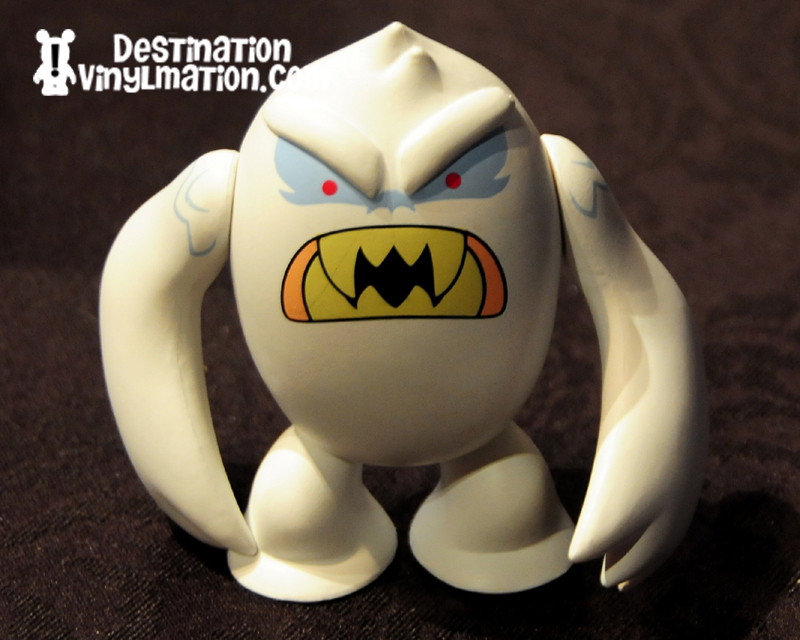 This Expedition Everest mascot differs from his dico Yeti counterpart as this vinyl’s arms move. So he can swipe away at passing ride vehicles to his heart’s content. These do all feel like sturdy, well produced figures that are true collectibles. Look at those exaggerated arms and raised eyebrows. The feet also have a flattened look to them. Obviously helping him to stand, it also gives the impression he is immersed in the snow he would be walking through. Overall, this series is a welcome addition to the Vinylmation lineup. It is pricey at $19 a blind tin, but gives collectors a special alternative to the Mickey mold. You don’t have to put these next to your Mickey shaped Vinylmation on the shelf. There are plenty of Mickeys, Donalds and Goofys out there… but for park geeks, there isn’t much collectible merchandise that features park specific characters. These fulfill this need in a satisfying way. I love these and would consider dropping the Mickey style vinyls if these were to become an expanding series, but $20 is A LOT for a blind box. I don’t Kidrobot has ever had blind boxes that were that expensive. That may kill this line in its tracks. Too much money to spend on one and you don’t know what you are getting. I don’t agree with the artists as I don’t see these as vinylmations. 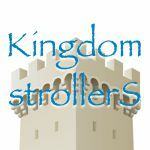 They may have always thought from the beginning that vinylmations were not just the mickey mold, but I’m afraid they are. Vinylmations will always be mickey in disguise to me. Blind boxe$….new de$igns…mystery chaser$…lot$ of money! 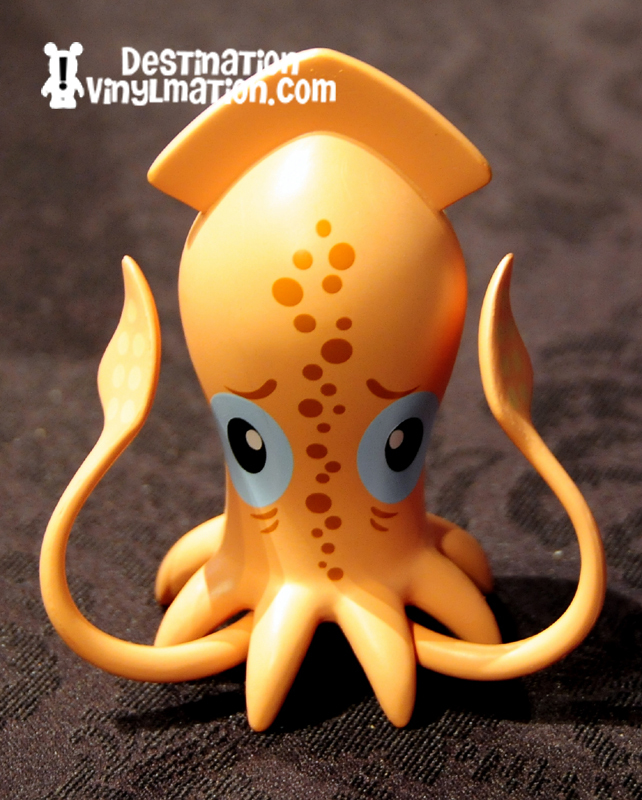 If these are like the 3″ Vinylmations, was there any mention of “mystery” or clear trade boxes? Or did the Disney think-tank believe these to be more like the window view 9″ vinyls…buy em, keep em, no mystery trading? These really seem to be more like the Pop Vinyls – minus the ability to see what you are buing. I would be more interested in these if they were window boxed, I feel it’s too much to pay when it could be something you don’t like/want. At the moment I’m happy with the set so far, however if a design comes up that isn’t my cup of tea, then I shan’t buy from the store, most likely eBay. 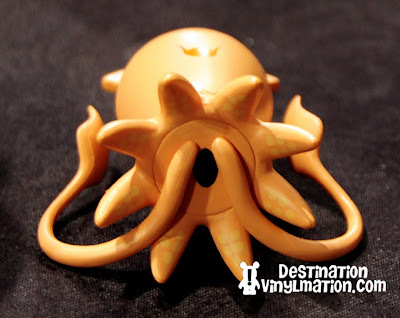 i dont see these as Vinylmations AT ALL! Really have ZERO interest in them..Try again Disney! They ruined a great thing! 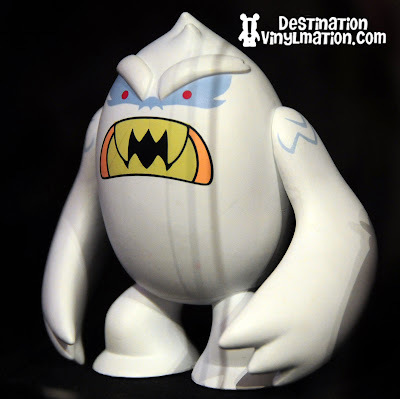 The Yeti to me looks a lot more like the Disneyland Matterhorn Yeti then Expedition Everest. 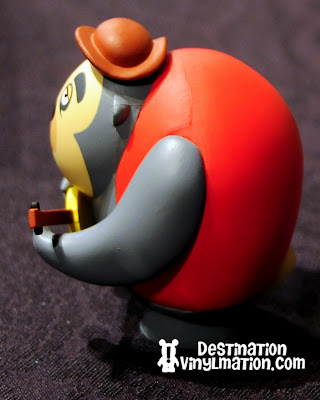 I love the Park Series Vinylmation because I love the parks and the characters on the rides — and I do want figures of these characters. I am the type of person that has the Haunted Mansion figures sold a few years ago and thinks they are awesome. I thought I would then love this series, but I don’t. 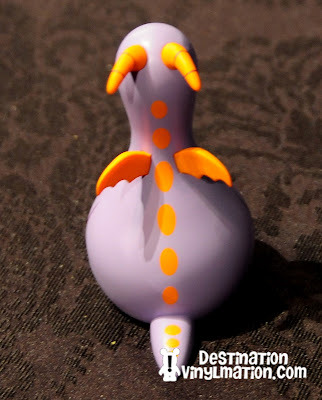 Figment looks like a gourd and Big A, looks worse than his vinylmation version. I’m going to stick with Park Vinyls even though they have been ruined by the new mold. I was excited and hopeful for a Figment when I first saw the Yeti. Now, I am very disappointed. I am a Figment fanatic and that just isn’t Figment. What a shame. At $19 a pop, I don’t think these will become part of my collection. I’m not going to get hung up on the mold debate. Vinyls existed long before Disney stuck their toe in the water. The term Vinylmation should be bigger than just the ‘Mickey Mold’. Creativity should not be shackled by any restrictions. Disney has got where it is today as business by ‘breaking the mold’, I’m not going to complain if they do that in the literal sense. Give me Park Starz Big Al over the Park 3 Big Al any day! Really looking forward to seeing the remaining designs. As of right now, Park Starz are not sold online or at Disney Stores. They are only available at the theme parks and D-Streets. Disney has made no official announcement about if or when they will be available online. Nooooooooo! I wanted to get these for my brothers as Christmas presents because we love Disney Parks. Thanks for the info.